**NEW** A new version of Sharegate's 15-day free SharePoint 2013 Migration tool is available for download. Get the latest version here. You can also view its always improving list of features here. Sharegate 3.1 is now available for download. As usual, this new release includes great features and many improvements that will bring your favourite SharePoint migration software to another level. This release also includes an important announcement: Sharegate offers now a 15-day free SharePoint 2013 migration tool. Yes, we now fully support SharePoint 2013. You can migrate from SharePoint 2003/2007/2010 to SharePoint 2013 using a simple drag-and-drop! You can download the tool here and install it in 30 seconds! Since our last release, we’ve introduced some structure migration capabilities such as copying lists and libraries (columns, content types and settings). SharePoint Workflows are now supported by Sharegate. You can migrate out-of-the-box workflows and SharePoint Designers workflows associated with your lists and libraries. Calculated columns are now fully supported. Again, we’ve listened to the feedback and we now fully support the Enterprise Keywords in SharePoint 2010/2013. 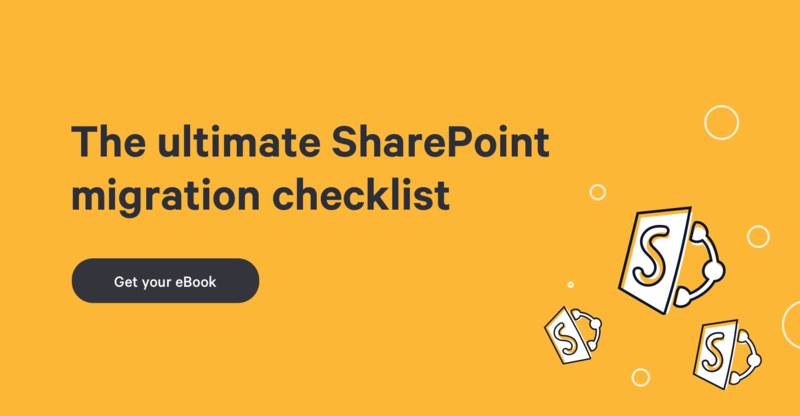 Custom permissions assigned to your lists and libraries are now fully preserved when migrating between your SharePoint sites. Very large files can now be migrated with Sharegate. As long as the SharePoint upload limit allows it, you can migrate files with any size to SharePoint. Start your migration to SharePoint 2013 by getting the latest version of Sharegate here.